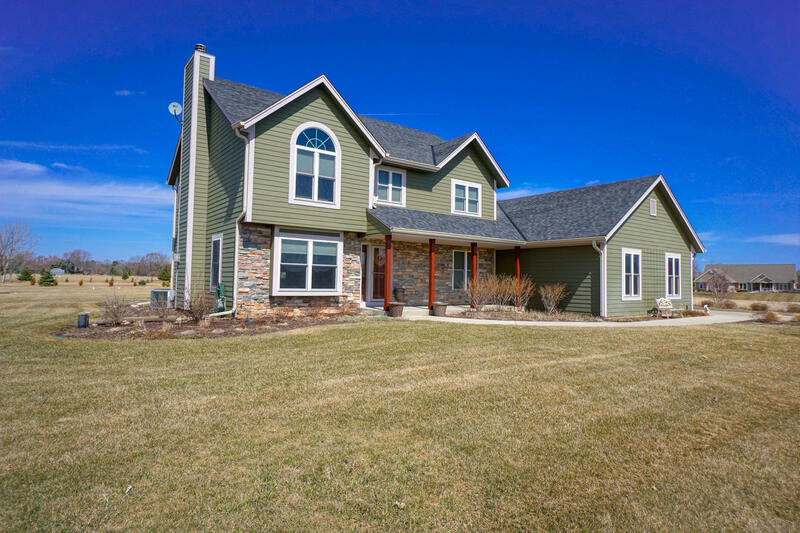 Exceptional 4BR/3BA home on a 1.5 acre lot in Mukwonago's Stone Brook Hollow! Great location adjoining subdivision conservancy with acres of walking trails and common area. Interior features many upgrades throughout. Oversized great room with fireplace. Large kitchen features tile floor, center island, SS appliances, granite countertops, and large breakfast bar. Sunny dining room has hardwood floors and walls of windows with beautiful back yard views. Option for main floor den or bedroom with adjoining full bath. Large laundry-mud room. Upper level bedrooms feature the master suite with luxury master bath that has tile floors, oversized tile shower, granite vanity top, and jetted tub. Plenty of storage and rec room potential on the lower level. Huge 4-car garage with built-in storage!